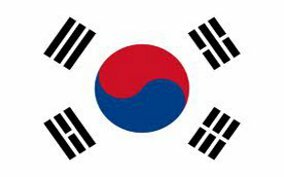 NJ MED’s First 2015 Quarter Report of the World Top 20 Poll, projects South Korea to be crowned as the top country in education again. NJ MED released its first quarterly report of the world’s best education systems this week. And the World Top 20 Poll’s number one ranked country in education last year, South Korea, was selected number one, and is projected to retain its title as the most educated country on the planet in 2015. The annual poll’s first quarter report is a projection of which countries will end up as the top 20 education systems, out of 209 nations, at the end of each year. The first quarterly poll rankings are calculated from last year’s results from 2 of the world’s most prestigious international education polls ranking systems (Pearson/ Economist Intelligence Unit and MBC TIMES) and NJ MED’s final poll results. This year’s choice for number one South Korea was projected to finish number 3 last year in the World ranking Poll, behind the number one 2013 Poll winner Japan and number two, the United Kingdom. South Korea, however, overtook both countries in last year’s final rankings, and became the number one ranked education system in the world in 2014, and now hopes to become the first two-time World Top 20 Poll winner. NJ MED’s last year’s first quarterly report had 15 of the top 20 nations ranked in the final poll. With five nations – Hong Kong, Iceland, Spain, Switzerland and Slovenia- breaking into the final rankings. This year’s poll rankings will start with 4 new countries, hoping to reach the final top 20 rankings on December 31, 2015.